Are you looking for professional cleaning company that you can book in the best faith in the world? You care about your home’s condition but somehow you cannot find that free time to cope with the cleaning chores? Let us help you. 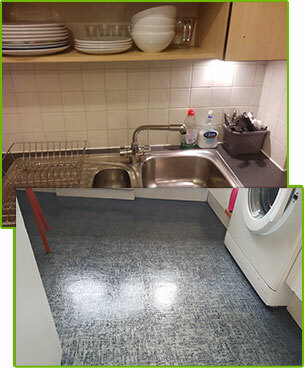 We are well-respected and professional cleaning contractor with head office in Camden Town. We are the people who most appreciate the cleanliness and hygiene in one’s home. It is of great importance to keep your home in a clean condition. There is not any better feeling in the world than coming into a cosy, tidy and fresh home. Imagine that you have been working all day and all you want to do is to get back home. You enter your home and all you see is clutter. You want to tackle with the cleaning chores but you are too exhausted to even take a shower. What would you do? We have the best offer for you. Book with our professional cleaning services and enjoy your clean home and your free time. All of our services are fairly priced and go easy on every budget, without shaking it. You can reach us through a phone call, email or come to our office in Camden Town where you can find out everything you need to know about us. We employ only workers with clean criminal records because we know that is important for you to trust everybody who enters your home. We can assure you that they are dependable and posses such talents that make them the most professional and diligent housekeepers in all of Camden Town. They can clean every home in a short time, the same amount of work you can get done for a couple of days. We provide ourselves with all the necessary equipment. We can utilise yours upon request, although we prefer our cleaning materials and tools because we are sure about their positive effect on various types of surfaces. Do not hesitate any more and call us to book with our professional cleaning services. Let us make you believe in perfect cleanliness. We cannot wait to hear from you. The price on your professional carpet and oven cleaning services, tempted me to book them. I wasn’t expecting much, but I was so wrong! That old and greasy oven looked better than new because of your professional cleaning! My carpets in the whole house were free of stains and their colours were even brighter! Amazing services! ﻿Are you too busy to do the spring cleaning? As you know, the spring cleaning is very important, as it’s proven to increase productivity, make you more positive, promote a healthier diet and reduces your stress and anxiety levels. So, even if you don’t have the time to do the spring cleaning, you have to – if you want to be healthy and happy. Or you can just call us and we’ll clean instead of you. We operate in Camden Town, our technicians are experienced, professional and motivated to sanitize every inch in your property. Book us and you won’t regret it.